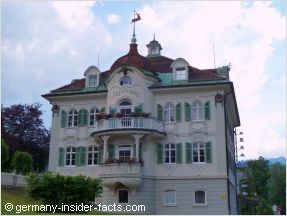 Looking for Hohenschwangau Hotels? 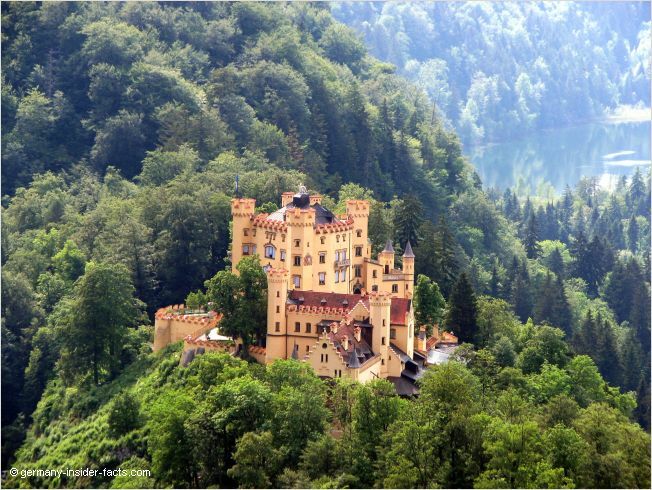 Want to stay close to King Ludwig's famous fairy-tale castle? You have come to the right place. 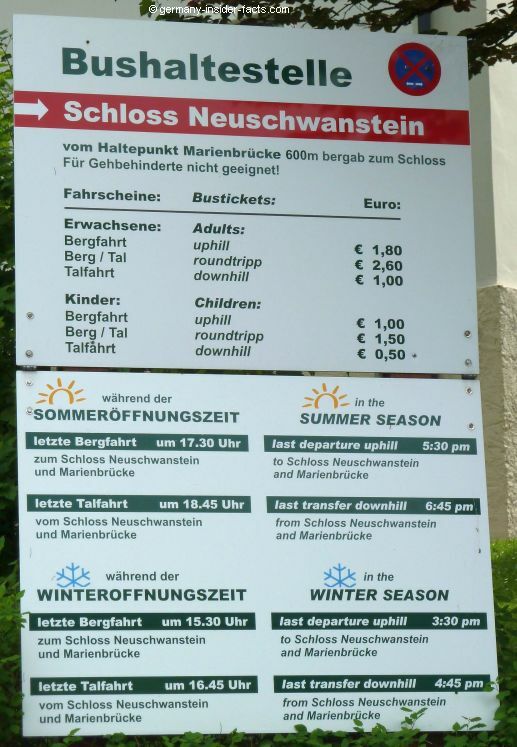 When you are an independent traveller and not visiting with a tour, you might want to stay in Hohenschwangau or surroundings before, or after, your visit of the royal castles. This gives you the opportunity to visit the castles early or late in a day, thus to avoid the crowds. From some hotels you can enjoy the view to Neuschwanstein castle at night. 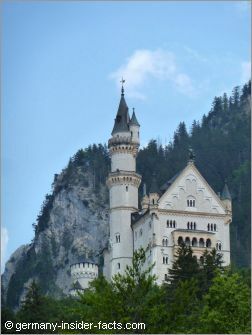 Of course, Schwangau and the surrounding areas are well worth a visit on its own, although the royal castles are the main feature, especially in Hohenschwangau, Schwangau and Füssen. This family-operated 3-star hotel gets great reviews from travellers regularly. 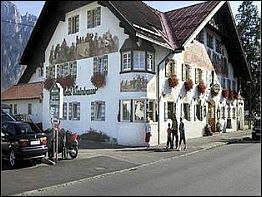 Hotel Müller is centrally located in Hohenschwangau, the horse-carriage stop to Neuschwanstein is right at their door. * All 42 rooms are ensuite, you can choose from 3 categories, standard, superior (with a view to one of the castles) or deluxe suite. * The restaurant has several rooms, including a winter garden and a beer garden for warm summer days. * Please note: The hotel is closed from 9th January to 31th March 2011. The restaurant is open again from 19th February 2011, daily from 10am to 5 pm. * Check-in: from 2pm to 8pm, check-out: from 7am to 11am. Named after the first publican's daughter, historic Hotel Lisl offers great views to the Alps and the royal castles from its rooms and restaurant. * "Wirtshaus Königliche Jagdstube", has a typical Bavarian atmosphere, it offers regional specialties from 11am to 6pm. * "Wittelsbacher" restaurant is elegantly furnished and offers local and international cuisine from 6pm to 10pm daily. 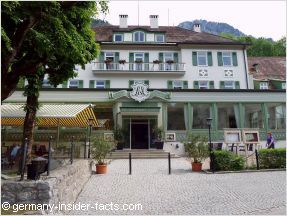 You might also want to check Villa Jägerhaus, the adjoining guesthouse. Visitors can use and enjoy all amenities of Schlosshotel Lisl. Haven't found what you were looking for yet? 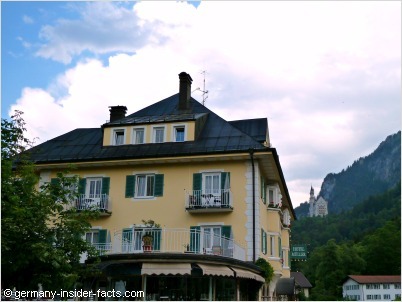 Here are more Hohenschwangau Hotels for you to explore. 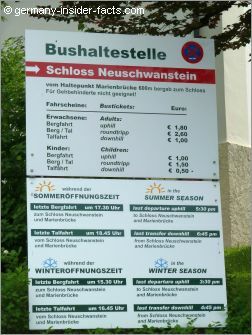 Many hotels, restaurants and other services in Hohenschwangau have their opening times / reception times adapted to the opening times of the castle. Be aware of this fact to avoid disappointment. 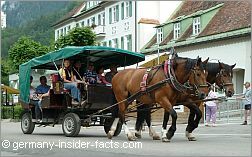 As Hohenschwangau is just a small district of Schwangau, the main town offers much more accommodation facilities, restaurants and leisure activities. Country-style hotels, guesthouses and holiday apartments offer Bavarian hospitality and comfort. Hotel Weinbauer offers comfortable ensuite rooms, some reachable by lift, in a charming house in local Bavarian style. * Room types are standard, comfort (with balcony and mountain view) and family (up to 4 persons). * Rustic and comfortable restaurant rooms to enjoy the local cuisine. * A large wellness section with spa, steambath, sauna and solarium invites you to relax after a day full of hiking and sightseeing. * The hotel is reasonable priced, breakfast and use of the wellness facilities are included in the room rates. I can't list all hotels in Schwangau here, so I picked just a few that I liked at first glance. Here are 20 Schwangau hotels for you to check out. Find the hotels mentioned on this page on the map below. Don't you like the beautiful locations? 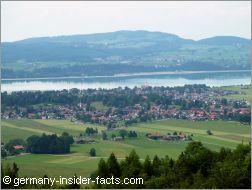 Have a wonderful stay in this stunning holiday region of Bavaria. Where do you want to go next? Don't miss these beautiful places in Southern Germany!